William Morrow Paperbacks, 9780061779770, 352pp. “Fans of Fool will be overjoyed to rejoin Pocket and company . . . for their latest adventure, and newcomers will find that Shakespeare isn’t nearly as dry and dusty as they thought, at least not when Moore is at the helm. “Moore . . . is an excellent writer, and there are passages of prose—Pocket’s defense of Othello and the entire Pound-of-Flesh trial—that sparkle with Moore’s trademark wit and intelligence. 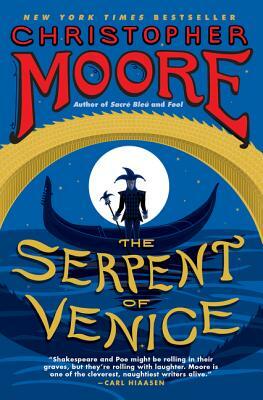 Moore’s strength is his ability to appropriate supporting characters and make them wholly his own creations.